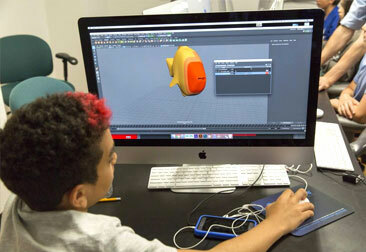 The New York Film Academy’s 3D animation camp for kids introduces the next generation of visual artists to the craft of character animation. Campers aged 10-13 spend one or two weeks fully engaged in the world of animation while learning the skills to bring their own work to life. Using Disney’s 12 principles of animation as a starting point, our students apply these principles using 3D Maya, the industry-standard software for today’s modeling and animation. Whether animation campers join us for a one or two-week summer camp, or a 12-weekend camp during the school year, they will have the opportunity to develop their own project and leave camp with a copy of their work. 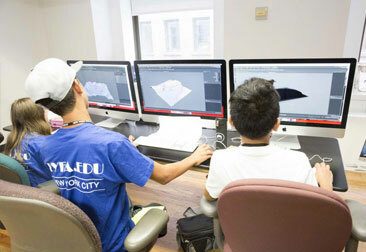 Click here to learn more about the New York Film Academy’s 3D animation summer camps for kids.